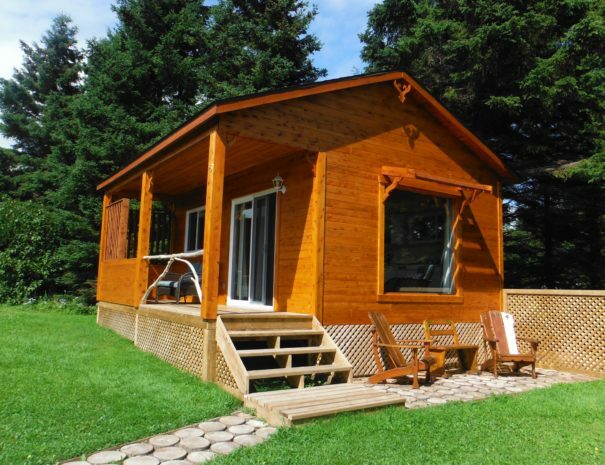 Our Cozy Chalet is nestled on the beautiful shoreline of the baie des Chaleurs. 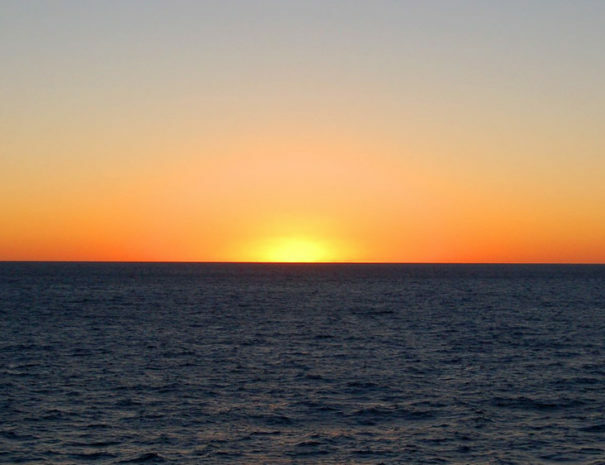 with stunning views and a nostalgic atmosphere.The amenities are simple, yet cozy and inviting. 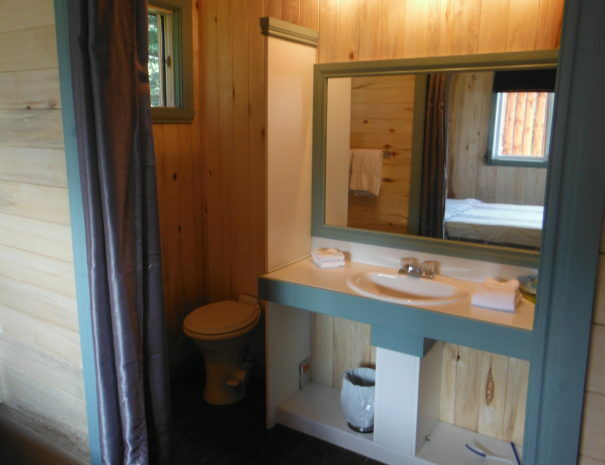 Rustic and akin to indoor camping, its a great way to experience the baie des Chaleur first-hand, but with amenities like private bathroom, kitchen, table, satellite tv, Wi-fi. Cookware, dinnerware and utensils are all available. Free parking is available right next to the chalet. more parking available in main lot. 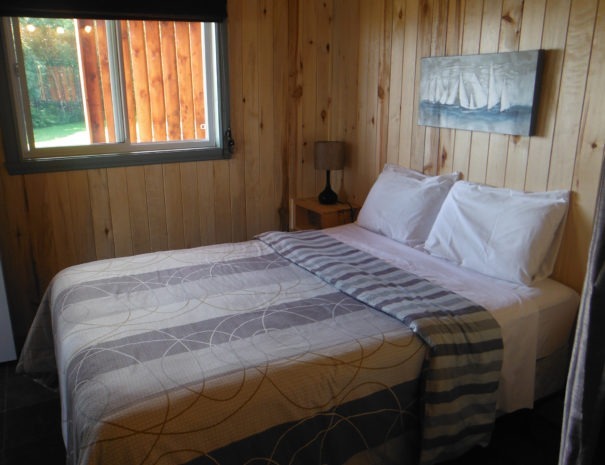 Chalet #5 has a comfy Queen sized bed giving you a great sleep with plenty of room. 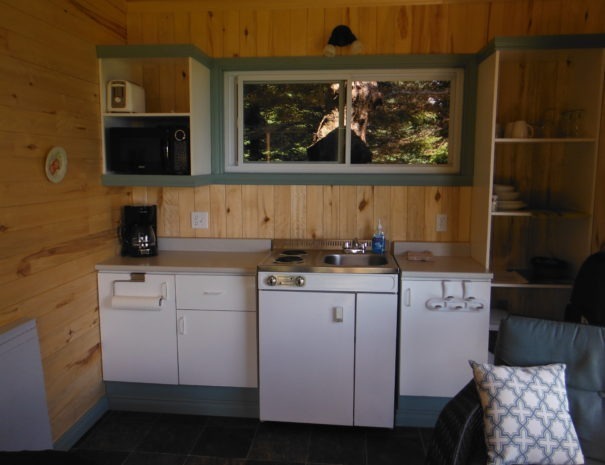 The kitchen contains a sink, stove, fridge, kettle, coffee maker, plates, cups and cutlery.